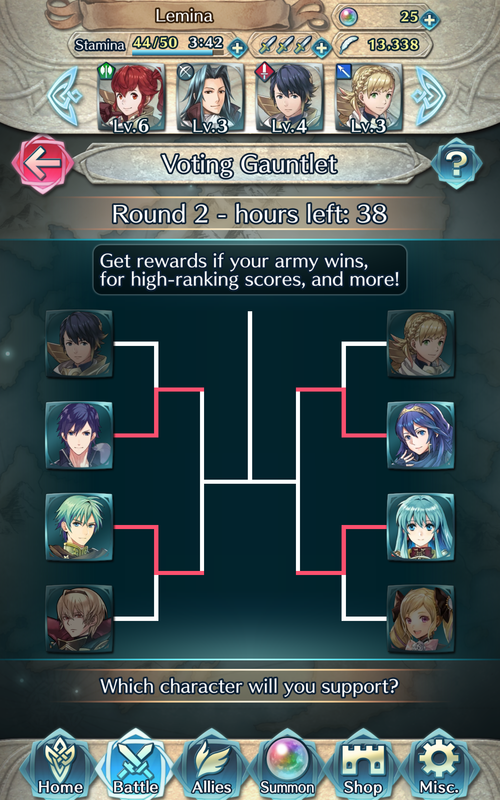 Voting Gauntlets are large-scale community events where players fight for one of 8 predetermined Heroes in order to decide which Hero is the most popular. 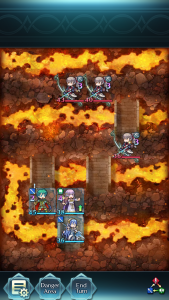 Players choose which team they would like to support, then engage in battles to give their chosen Hero more points. The Hero who earns the most points progresses to the next round, and eventually one of the Heroes will emerge as the winner. 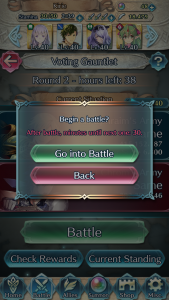 The Voting Gauntlet appears in the bottom left screen of the Battle Menu. 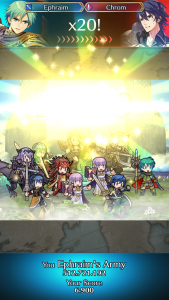 If a Gauntlet is currently active, a ! will show above the icon. The first time you enter the Gauntlet, you will be allowed to select which Hero’s Army you’d like to support. 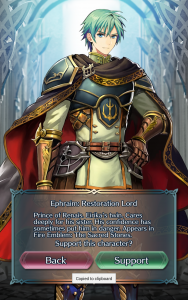 Tap on your chosen Hero, then press the “Support” button to join their army. 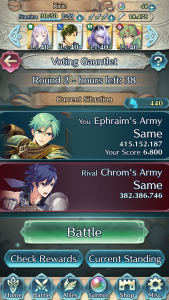 Each Voting Gauntlet is three rounds long, and each round lasts 45 hours, a bit less than two days. 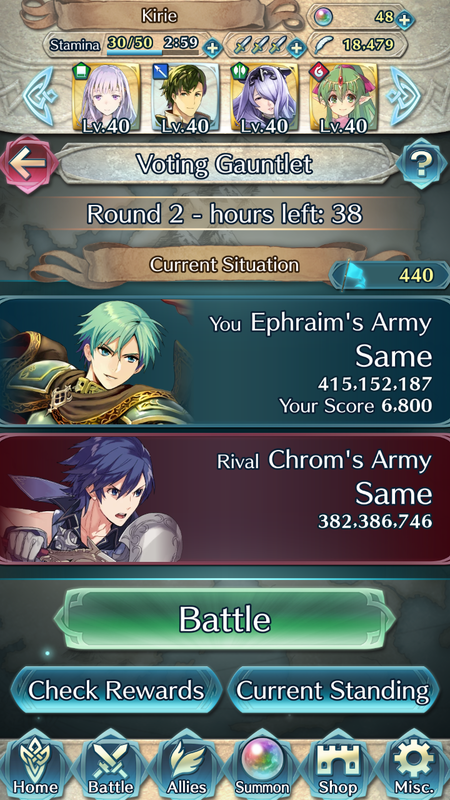 Once you’ve joined an Army, you can view the main Voting Gauntlet page, which gives you more information about the current round. 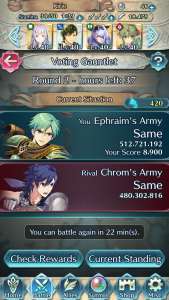 At the top, you can see the amount of time left remaining in the current round, and also your current number of Battle Flags. In the main section beneath, you can see the current vote totals for your own army and also your opponent. 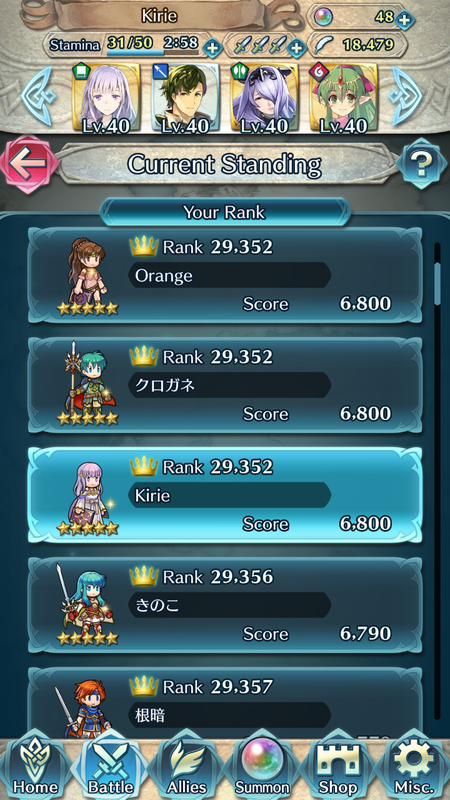 You cannot see the scores of other armies. Vote totals are updated every hour on the hour. The bottom of the screen displays a green Battle button, or a countdown timer until your next battle is available. 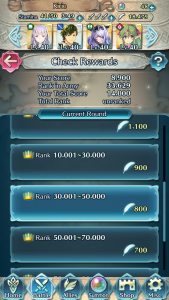 There are also buttons to check your rewards and current standing. More information regarding all of these options is below. 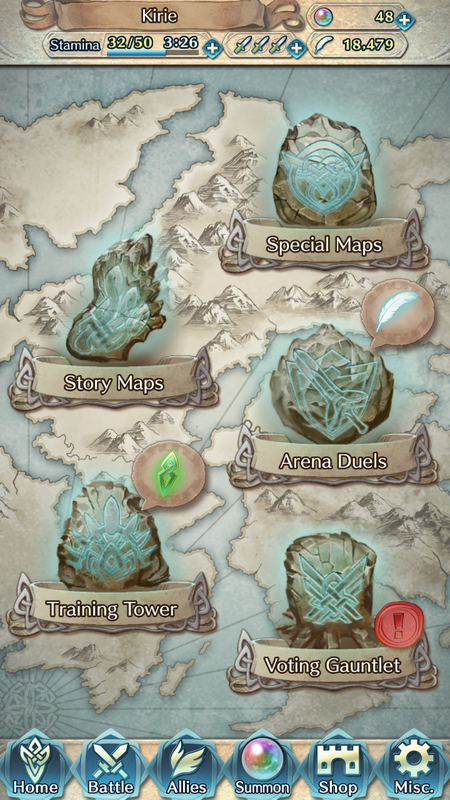 Go to the main Gauntlet menu and press the Battle button to begin! Once you’ve started a battle, there will be a 30 minute cooldown period until you can battle again. You will battle on any one of the available maps. Make sure to examine the capabilities of both your own units and the enemy before you begin! After all, you may be playing with, or against, a hero you’ve never used before. You win the same amount of points for your Army no matter how many of your heroes are left alive, so long as you win the match. If you lose, you have the option to use a Light’s Blessing to continue. Regardless, you also get the opportunity to add the third player to your Friends List. 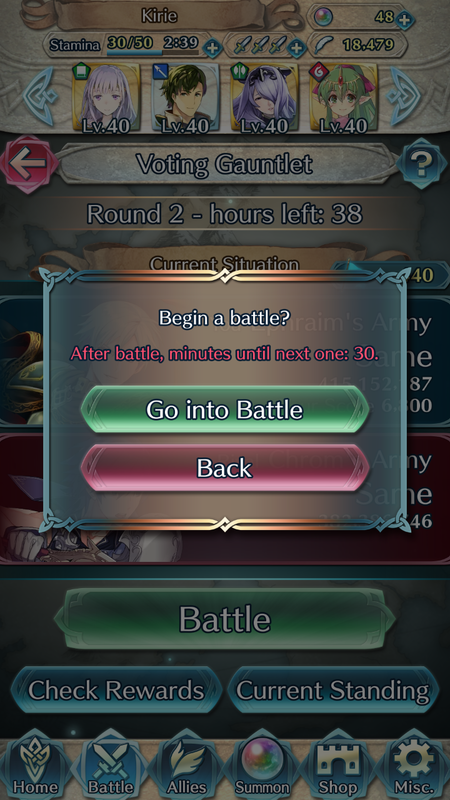 Once the battle is over, the Gauntlet menu will display a countdown until you can participate in another battle. The total votes you earn per map is based on your number of friends. So long as you have at least 10 friends on your Friends List, each win earns you a base of 100 votes for your team. Use this opportunity to add more friends if you want to score more votes! If you have your Army’s Hero set as your team leader, you also gain an additional 10 votes, bringing the maximum base number of points available to 110. Once you have completed your battle, you can use Battle Flags to multiply your score if you wish. 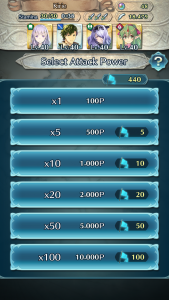 The following screen shows you how many Flags you can use, and what your new total will be. Tap your selection to continue. In the next screen, a selection of your Army’s supporters will run in and celebrate while the votes you’ve earned for your army are totaled. Everyone who participates in the Voting Gauntlet also earns Hero Feathers based on their performance. Earn lots of votes for your Army and you’ll win a larger prize! 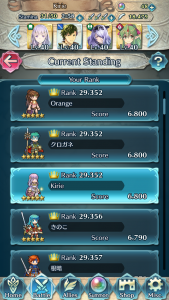 Tap on the Current Standing button in the Gauntlet Menu to see how you stack up against other players. 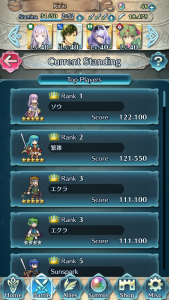 You can toggle between “Your Rank” and “Top Players” to view your own score and compare it against other players. 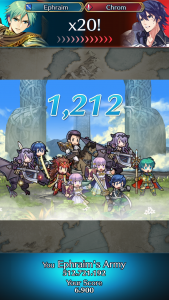 If you’d like to see how many Feathers you’ve earned so far, tap on the “Check Rewards” button. 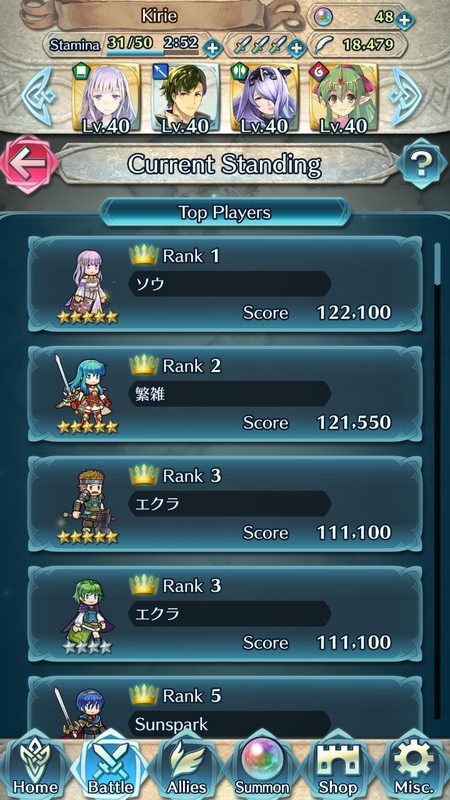 The very top section displays, in order, your score and rank in the current round of the Gauntlet, and then the same for all rounds in the entire Gauntlet. 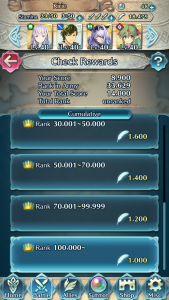 You must have a rank of 100,000 or better to show a rank score, otherwise you will be marked “unranked”. 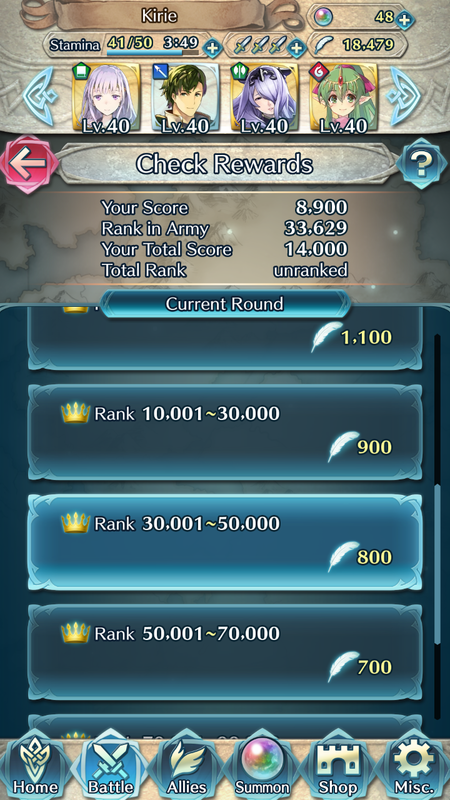 The “Current Round” screen shows how many Feathers you will earn based on your rank in the current round. 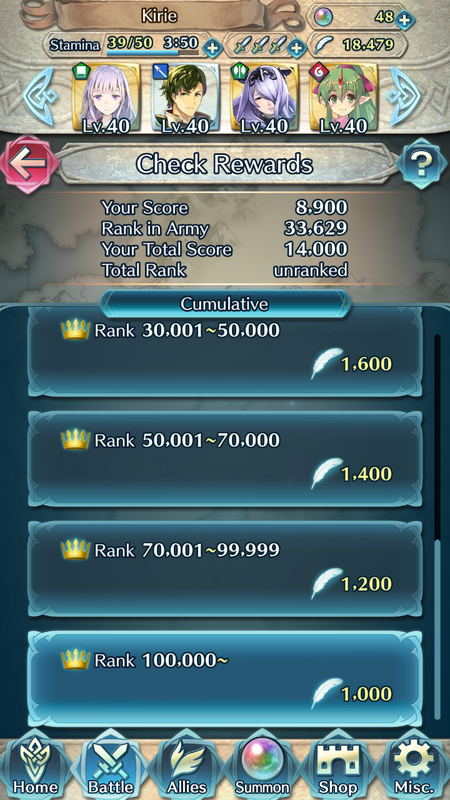 Similarly, “Cumulative” shows how many Feathers you will earn based on your cumulative rank throughout the whole Gauntlet. 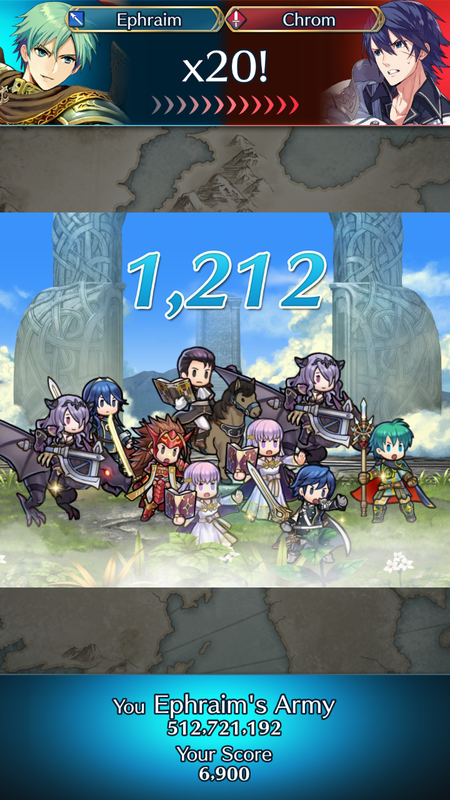 Feathers earned from the individual round rewards are distributed between rounds. 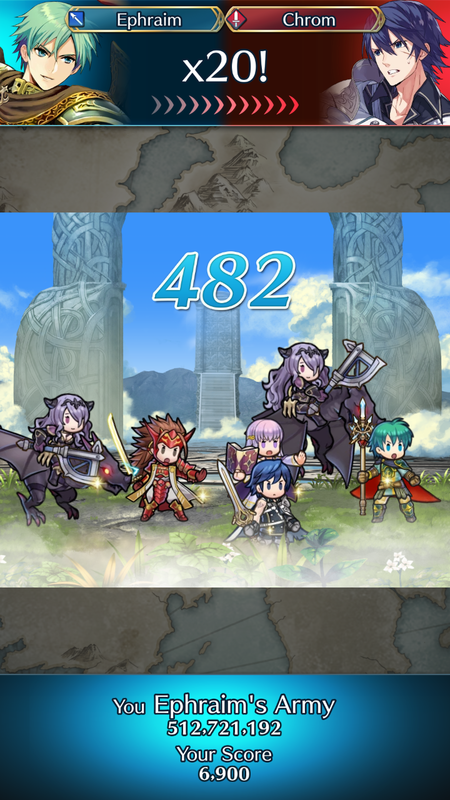 Feathers earned from your cumulative score will be handed out once the event has reach its conclusion. 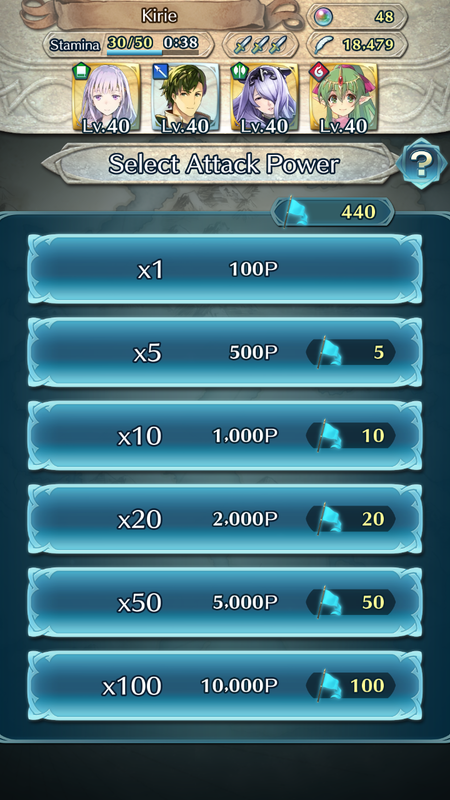 In addition to the Hero Feathers earned based on placement, players earn additional rewards of Orbs and Great Badges based on overall participation in the Voting Gauntlet. 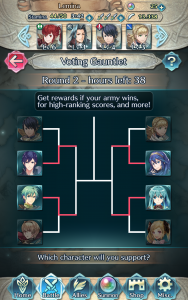 Battle Flags are used to increase the multiplier of the votes you earn from participating in Voting Gauntlet battles. You can earn them in a number of ways. Daily Rewards – Each player receives 5 Battle Flags daily as a log-in bonus during the entirely of the event. Quests & Missions – You can also earn additional Battle Flags by participating in Quests. 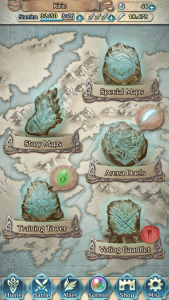 You can find a full list of the Quests available on the Quests & Missions page. 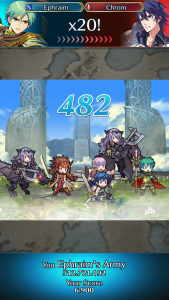 Battle Flags earned during a particular Voting Gauntlet event can only be used for that event. Once the Gauntlet is over, the Flags will expire.